a lot of sponsors for for this blog hop. You find all the information HERE. and of course I made a card with it too. added the sand (walnut distress ink) behind it. foam tape to the card. I colored everything with distress markers. hand died and you can find it here. It is the mocha-latte bundle. And here is my FREEBIE for you. with the right button on your mouse. I am having so much fun doing the handlettering. 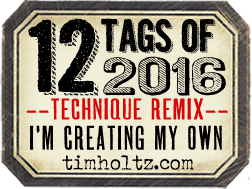 Love to see what you will be creating! Wonderful card, Hetty! THANK YOU for that adorable free digi...can't wait to use it:)! love this card, great start to the blog hop! Thanks for the freebie Hetty! Yay, Hetty! Your first card is awesome! Wonderful beach them and I love how you have inked the paper to look like sand! Thank you for the freebie! It's perfect for the hop! Hoping I get a chance to use it! Yes to coffee on the beach! This is awesome Hetty! Wow, thank you for the free digi! Your card coloring is so realistic that I can almost feel the sand. Beautiful card! Thanks for the great freebie!!! I LOVE this great coffee on the beach card! What could be better? The perfect summer in Florida card ... complete with a crab! And coffee. I couldn't agree with your sentiment more!!!! And thanks for the free digi too!!! Thanks for the freebee. I love the card. THanks so much for the freebie! Love the card! Awesome card and love the background technique...elegant card. A fun and fabulous card Hetty - love he beach theme! Thanks too for the freebie. I live at the beach and I love this. Thanks for the freebie. Love the freebie- although I usually drink my coffee before going to the beach;-) Thanks! Fun beach card, Hetty! Happy Hopping and enjoy your summer! Hetty, love love your card and thanks for the adorable freebie. I love it. Oh Hetty - TFS this lovely freebie with us! And such a lovely card too. 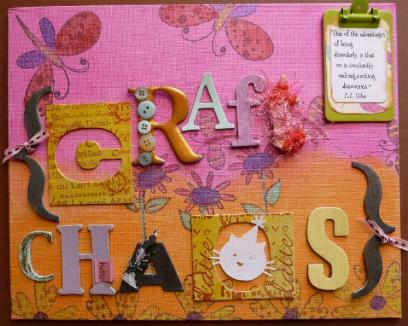 not only have you made a fabulous card, but you have given us such a wonderful image to use! I will try to make something with it for the hop. :) thank you! Hetty, your card is awesome! It's perfect! And thanks so much for the wonderful freebie!! See you again soon! Cute card, Hetty! We just got home from the beach, so this is perfect! Thanks for the freebie! WOW Hetty, a wonderful card, I love the shading and the cup and crab charm, then to find that it is YOU who drew the sentiment, just amazing, love it. Awesome card Hetty, thanks for the freebie! Awww...lov the little crabbie in the ribbon. Such a great sketch. Love it! Super fun card and awesome digi Hetty! What a cool card, the sentiment really makes it grand! I sure do love your beautiful card. Thanks for sharing. What a sweet summer coffee card...love your wonderful scene, complete with coffee cup and that sweet little crab charm. Love the sentiment! Perfect for my coffee blog hop card...haha! Your art is beautiful. 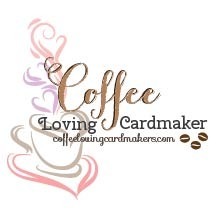 I hope you're enjoying this great Coffee Loving Cardmakers Blog Hop. You did such a super job and I really enjoyed my visit to your sweet blog. I love this card Hetty! what a fun image - thanks! love the sandy, beachy feel of your card! The sweet popped up blue cup, the ribbon and the metal crab add the perfect finishing details! wonderful card!! Love your use of distress inks on your card, the effect is gorgeous! Thank you for the digital freebie,love. Hetty, your card is beautiful - perfect for my sister - I am so grateful for the digi! Thanks for sponsoring, and for your kind commenting, too! Thanks so much for this fun digi and for sharing your wonderful card! Love that sentiment and the way you colored it. Hetty, your card is super fun and fantastic! Love the digital stamp. Thank you! Beautiful card. Love the details so pretty. Yes, it looks like Summer! A fantastic day at the beach with coffee... never thought of that, but it sure would be fun :). Every detail in your card is gorgeous, but I'm very impressed with the sand... FAB work! So sweet of you! Sweet card too! Love your card and the digi. Thank you so much!